Are you ready for favors that are uniquely your own? We thought so...so we designed these Personalized Expressions Collection apothecary jar favors to be just for you! 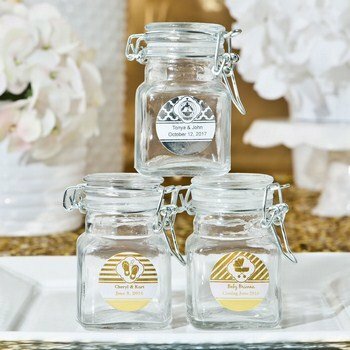 Sold only by Fashioncraft, each clear glass jar measures 1.75" x 3" and is in the classic apothecary shape with a hinged lid with a silver metal air tight locking gasket designed to keep the contents fresh. Both the front and the lid are perfectly fit for the application of the label of your choice. Available in an exceptional selection of colors, themes and customized titles for any special occasion, the labels are included in self sticking sheets for you to easily apply. 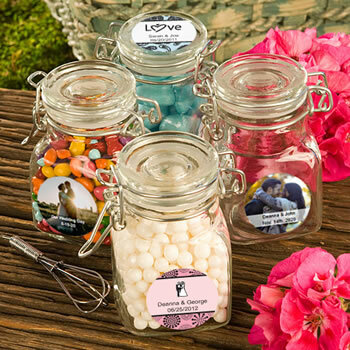 A Fashioncraft exclusive, these jar favors come bulk packed in individual poly bags. Please allow 3-4 days for production. The size of the jars were as expected. The 3 rating is for the condition they arrived in. I had ordered 103 bottles, unfortunately 19 came chipped and unable to be used. These are for my daughterter’s Sweet 16. I have contacted customer service, still waiting for a confirmation that they will be replaced soon. From NicePriceFavors: Sorry to hear there were damages. Sometimes the shipping companies can be rough with the cartons. Replacements were shipped to you yesterday! Loved the jars. They are perfect size for a party favor. The labels were too cute. I was very happy with my purchase. I ordered 100 jars for a party. They were shipped quickly but they sent the wrong stickers with it. The company quickly apologized and sent the right ones. They were super dark. It was probably my fault. Again, they were gracious and understanding. I sent two other pictures and would you believe.... they sent me 100 of each picture! That is so, so nice! I’ll be able to use both. I’d like to especially thank Kelly who helped me along the way and was very kind!! Can’t wait to use them! I needed something small and inexpensive for a family gathering. I did some online searching and came across these cute little things. Fit right in the budget I was trying to spend. They arrived safely, packaged very well. The labels looked just as I created them online.Delivery was faster than expected as well. If you are looking for something small, and not too much in cost, these will be the perfect idea. I received these super fast! They came packaged very well and were just what I was expecting. Perfect for baby shower favors! Very cute just the right size for a party favor. I made a mistake in making this order. However, what I did receive is even better. I like these little jars and I'm sure my guest will agree. I ordered a sample to make sure this is what I wanted for my wedding favors. The sample cake so quick! I loved it and ordered 200 more right away. I can’t believe I was able to design my own sticker and order this many jars for such a low price. Would definitely recommend ordering from nice price favors! Used these little jars as a party favor for my mom‘s one hundredth birthday party. We filled them with custom M&Ms and Hershey’s kisses and everyone loved them highly recommend! The stickers were absolutely wonderful. I ordered 50 jars and wound up getting 70! So when I ended up needing 56 jars, I had more than enough extra stickers to add to the new jars I bought elsewhere. With that said, out of the 50 I purchased, 8 of them were completely shattered. They were only packages in small bubble wrap holders with flimsy cardboard between them, causing quite a few to, sadly, break. Other than that, they were very nice and were a huge hit at our Harry Potter themed wedding! I ordered this product as a favor for my mother's 80th birthday party. I wanted something to put bath salt in. It worked perfectly. 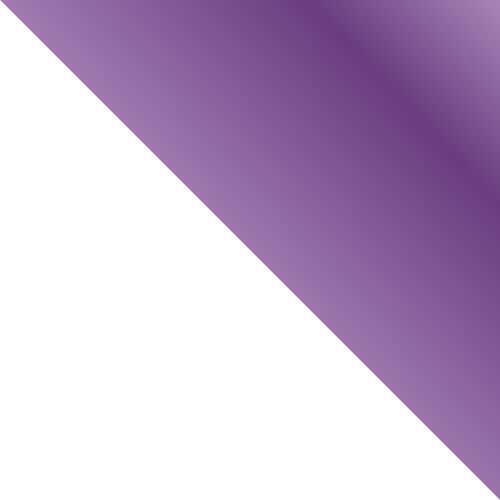 I was very satisfied with the product as well as the pricing and the way is was packed. Makes a Great Gift. I used these for my baby shower- they are affordable, looked great and arrived quickly. You must/should give them a rinse upon getting them because they are dusty, but this does not compromise the product (just a suggestion). Thanks so much for your amazing service and products! The jars are the cutest ever! The extra labels you included at no extra charge were out to great use on a book I had to call regarding two seals which were missing on two of the jars. I only asked for new seals, but you guys sent two whole new jars - very kewl and generous!😍 I'll definitely be back, as we're having another 2 big parties coming up this year and these will make great favors for those events as well! Thanks so much - have only good things to say! These were great! They came in before the expected ship date and not 1 of the 75 that I ordered were broken. The labels were all printed very clearly and the jars were actually larger than I thought. I filled them with navy blue and silver sixlets for a bridal shower, and the labels matched very well. I tied a ribbon to each to spice up the look. Highly recommend as favors, these were a hit! Jars arrived in perfect condition because they were packaged in individual bags in cardboard compartments in the boxes. Every sticker had to be put on, but I didn't mind because it allowed the flexibility to decide if I wanted them on top of the front of the jar, and it didn't take long at all to get them all done. The stickers came out great as well. Very happy with the order and the result!